Photographer Takaba Akihito takes on a risky assignment trying to document the illegal activities of the Japanese underworld. 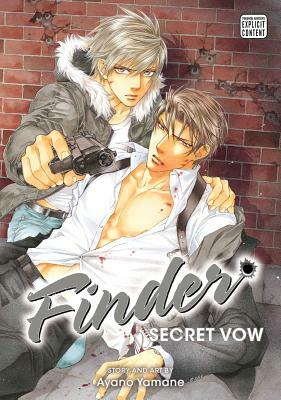 When he captures its leader—the handsome, enigmatic Asami Ryuichi—in the crosshairs of his viewfinder, Takaba’s world is changed forever. After Asami's subordinate Sudo betrays him, Akihito attempts to chase Sudo down, only to wind up captured and at his mercy. Sudo's fixation on Asami has only grown stronger with time, to the point of wanting him dead. But Sudo isn't the only threat: another enemy appears on the horizon, gunning for the power Asami wields! One of the most popular boys’ love mangaka to come out of Japan, Ayano Yamane is the creator of A Foreign Love Affair and the Crimson Spell series. She has also published doujinshi (independent comics) under the circle name GUN MANIA. A native of Awazi Island, she was born a Sagittarius on December 18th and has an A blood type. You can find out more about Ayano Yamane via her Twitter account, @yamaneayano.